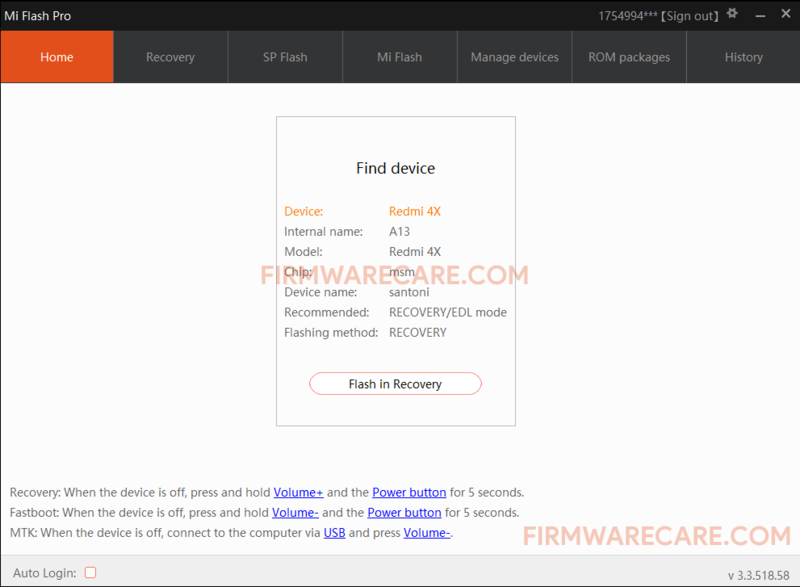 Mi Flash Pro v3.3.518.58 is a small application for windows computer created by Xioami Team, which allows you to flash and restore your Xiaomi smartphone. It is a universal tool for Xiaomi devices running on both Mediatek and Qualcomm chipset. There is an inbuilt SP FlashTool and Mi Flash feature in Mi Flash Pro v3.3.518.58. MiFlash Pro v3.3.518.58 allows you to download the required ROM easily using the its simple and easy to use interface. It also allows you to flash your Xiaomi device from recovery mode without unlocking the bootloader. One of the best feature of Mi Flash Pro v3.3.518.58 is that it will work even without access to key lock pattern or fingerprint. In order to use the Mi Flash Pro, you need to install the Universal ADB Driver on your computer. [*] Credits: Mi Flash Pro is created and distributed by Xioami Team (developer). So, full credits goes to Xioami Team (developer) for sharing the tool for free.